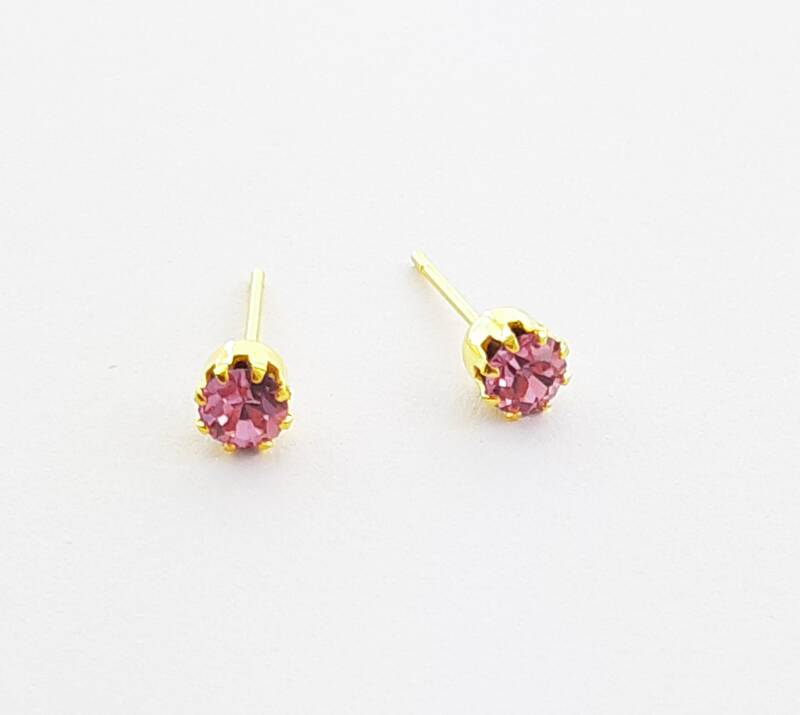 Vintage 60s Earrings, Never Worn. 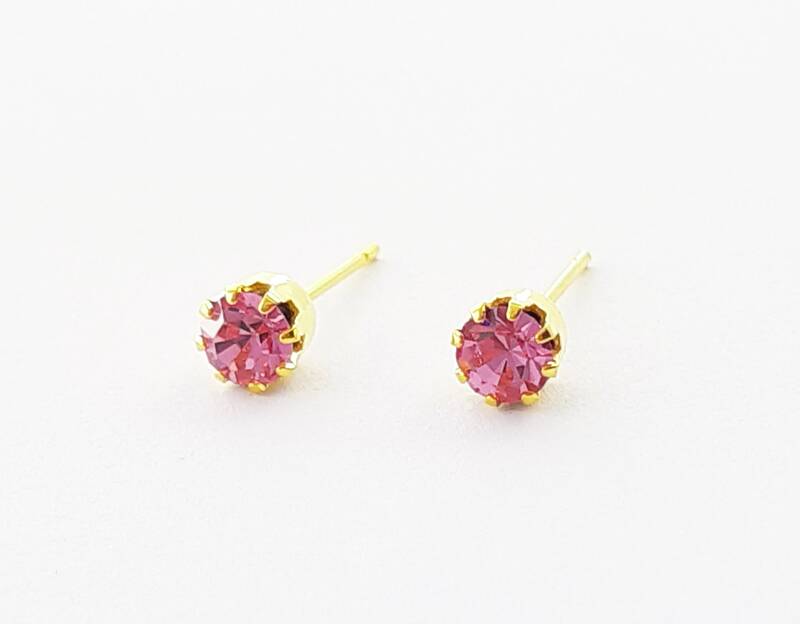 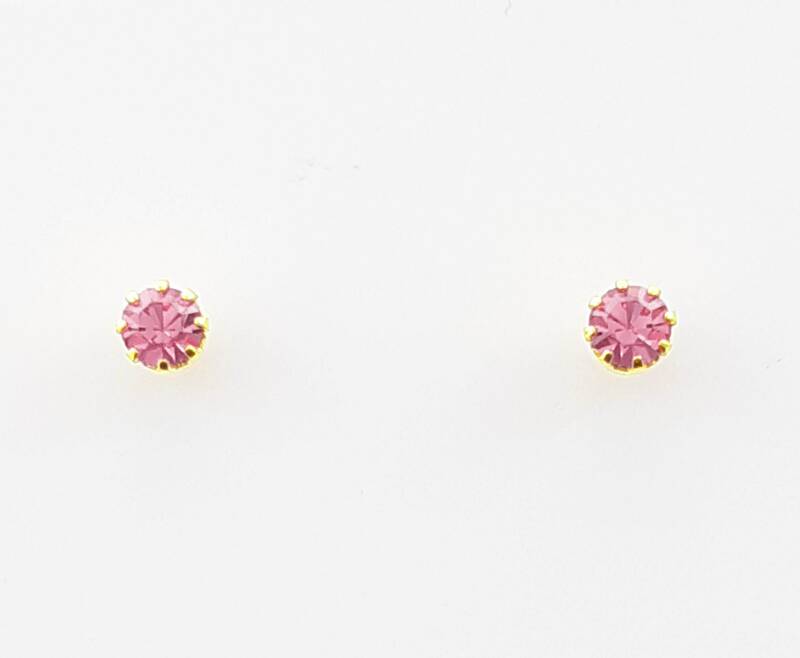 Tiny Gold Plated Stud Earrings with Synthetic Pink Sapphires. 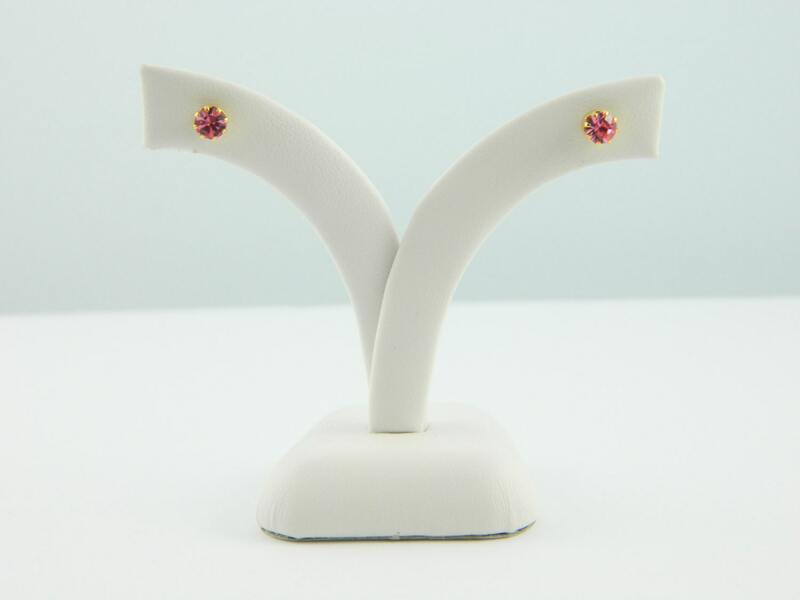 Includes Gold Plated Earring Clutches.